Setting up an automated invoice data capture system has always been a time-consuming and expensive process. Rossum changes that. 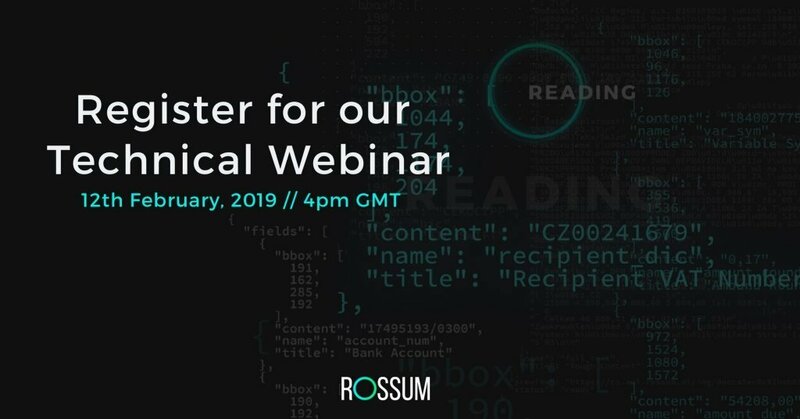 In this webinar, Rossum founders Petr Baudis and Tomas Gogar explain how developers and automation engineers can set up the Elis template-less data capture platform and automate invoice processing in a couple of hours. Register to join founders, Petr Baudis and Tomas Gogar, as they explain how Elis can be deployed in your organization. NOTE: Basic programming and/or system integration experience is required to understand all of the concepts explained in this webinar. *This webinar has passed, but please feel free to take a look through the slides and recording.